Blue Knot Foundation has developed short videos with funding from Federal Department of Health. Given the prevalence of trauma and its effects, it is important for the above groups of people to be informed about trauma and how best to interact with people who may have experienced trauma, particularly the complex trauma related to trauma and abuse in childhood. 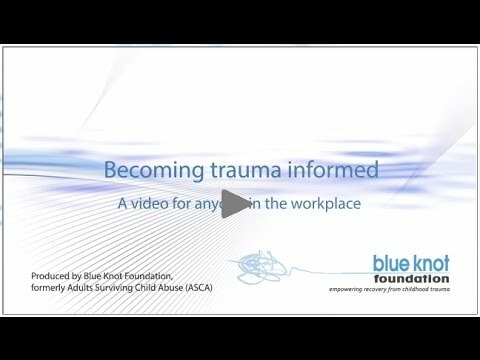 Blue Knot Foundation would like to thank all who took part in the making of these videos, from survivors who courageously spoke to provide hope for others, to those who work with survivors supporting their recovery journeys in various capacities, to our production team. The videos are supported by extensive additional resources and services, information about which is available on this site.